Beautiful, ergonomic and comfortable, our new AMAZE contemporary style rectangle bathtub features harmonious angles and curves, with a large bathing well for pure pleasure. 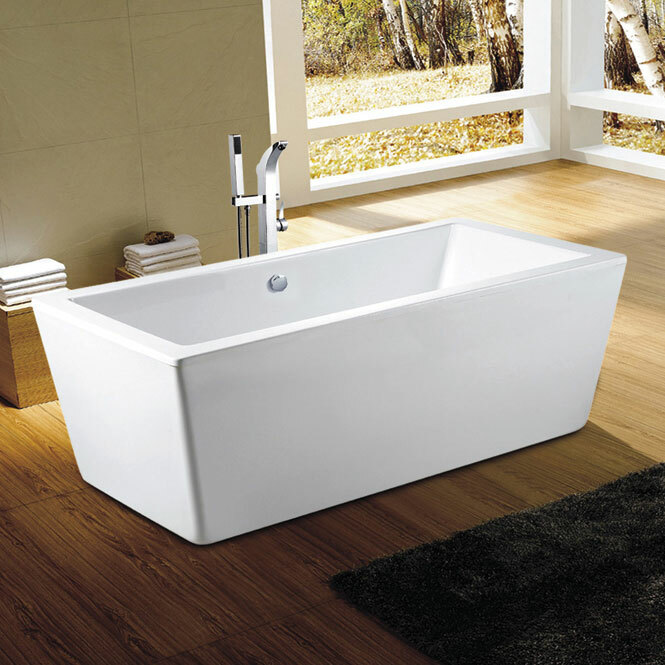 Categories: Freestanding Tubs, Rectangular Tub. Total width :31 1/2 in. Interior width (floor) :16 7/8 in. Interior length (floor) :43 3/8 in. Interior width (top) :25 1/4 in. Bath’s total height :23 1/4 in. Interior length (top) :60 1/8 in. Total length :66 7/8 in. Maxi-comfort water depth :13 1/8 in.